Ram Dass has shared a story of a young woman who told him, “My family hates when I’m a Buddhist but loves when I’m a Buddha.” In other words, it’s not what religion we identify ourselves with that matters, but how we think, feel and keep our hearts open with others that matters most. In my experience, it’s often beneficial to not identify too strongly with any group or “ism”… When I identify my self as a Buddhist then a non-Buddhist becomes “the other” – and there’s an immediate wall of separation- us/them, me/you. The same is true for anyone who identifies strongly with being a Christian, Muslim, Hindu or Jew while failing to apply the deepest wisdom and compassion of those traditions. More important than identification with a religion is to live the teachings― to focus on being peaceful, loving, joyful, generous, grateful, mindful and kind. To “be the change,” as Gandhi put it, transcending the conceptual categories and divisions in our heads. Simplifying our sense of identity, being with people fully, sometimes silently (knowing in our hearts that we are all part of one unified reality) is transformative. Giving everyone you meet your undivided love and attention― as small children often do― is one of the greatest gifts we can share with ourselves and the world (which were never really separate in the first place). By focusing on the interdependence, unity and connectedness that was always there from the beginning, the “problem” of self/other is not so much solved, as dissolved and transcended. While the Tao Te Ching is not one of the world’s most discussed religious texts, at least relative to the amount of attention the Bible, Quran, and Buddhist and Hindu doctrines receive, Laozi’s slim volume of instructions has massively influenced how we think about Eastern philosophy. The basis of Taoism is embedded in his series of short and punchy ideas that are rooted in, at times, paradoxical thinking. Wu-wei as ‘not forcing’ is what we mean by going with the grain, rolling with the punch, swimming with the current, trimming sails to the wind, taking the tide at its flood, and stooping to conquer. They compare the practice to judo and aikido, two martial arts that teach seasoned practitioners to use their opponent’s force against themselves. By waiting for the challenger to overextend himself, you exploit their exertion and use his body weight to overthrow him. To accomplish this, you need to maintain calm and composure in the midst of potential violence and chaos. Which is why Nick Hobson, a research psychologist and lecturer at the University of Toronto, recently suggested implementing wu-wei as an antidote to our rising rates of anxiety and depression. Instead of pinpointing a singular cause for our growing dissatisfaction with our lives, he points out the reasons are myriad: smartphones, sleep deprivation, a lack of meaningful social connection, and not enough movement. He doesn’t mention diet, though plenty of research implicates bad eating habits as well. While the causes are many, Hobson points to our penchant for overanalyzing every situation as the elephant in the mind. Instead of holism, a cognitive trait he associates with Eastern psychology, we choose the trees over the forest, leading to an obsession with overthinking. This stark cultural difference has been confirmed by thinkers like social psychologist Richard Nisbett, who devoted an entire book to the topic. One of the most revealing instances involves the ways in which Easterners and Westerners—these terms are generic and broad, but serve to supply a bit of yin to our yang, at least as a metaphor–view art. Americans seek out a subject, an overarching detail that exemplifies the ‘purpose’ of the painting. Asians, by contrast, seek to understand the relationship between everything in the scene. Their focus is more on interdependence than independence. Suppose you’re presented with a dog, a rabbit, and a carrot, and then asked which two belong together. The analytic thinker chooses the dog and rabbit because both satisfy the internally held rule of ‘animal category.’ The holistic thinker, on the other hand, chooses the rabbit and carrot because of the interconnected and functional relationship between the two: A rabbit eats carrots. Western ‘rule-based reasoning’ leads us to believe every problem has a solution. Research in cognition and narrative has shown that when we aren’t offered a resolution to a story, we’ll invent one, often to our detriment—your partner is cheating on you if they haven’t texted, while the reality is anything but. When we’re not provided an answer, we tend to overanalyze the situation, heaping anxiety upon anxiety. Which is why Hobson suggests two Laozi-era practices to calm our overactive imaginations. Wu-wei is the first, which he says means “we shouldn’t hurry to action.” While he prescribes “to not do anything at all,” which is slightly different from Watts’s and Al Huang’s translation, Hobson recommends an “intuitive style of thinking” to chill our over-analyzing minds. Meditation and visualization exercises are two ways of rerouting our mental habits. Two things can be mutually opposed, and at the same time, mutually connected. You can be, for example, in an anxious state and still have perfect control of your situation and your life. Thinking in this way allows a person to tolerate contradictions and to accept the uncertainties that inevitably present themselves. a) not everything is going to be exactly how you want it, and that’s okay, b) certain changes will have to be implemented, so practice those changes, and c) recognize that life is worth living. In the balance between states that afflict those suffering from psychological disorders—complete control and lack of control—an emotionally salient mindset can be achieved. Is a long life such a good thing if it is lived in daily dread or in constant search for satisfaction in a tomorrow which never comes? We all intuitively know the answer. Putting that intuition into action, ironically through a bit of non-action, might just be an important key to healing our anxious minds. Wu wei refers to the cultivation of a state of being in which our actions are quite effortlessly in alignment with the ebb and flow of the elemental cycles of the natural world. Wu wei (無爲) is a concept in Taoism sometimes translated as non-action or non-doing. It means aligning with the wisdom of Nature, not taking action based on self-centric thinking. Some problems are best solved simply by staying calm and allowing life to take its natural course. they asked him what the words meant. Bruce Lee is well-known for his comment about water, which described the essence of his personal journey toward self-actualization. 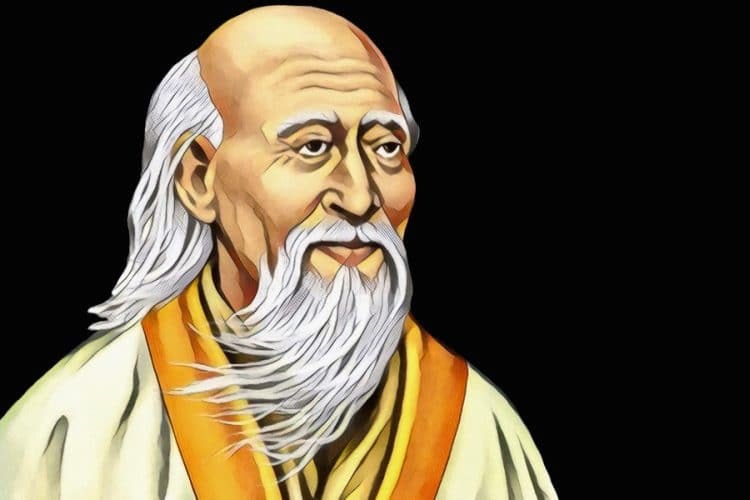 He was not alone in this realization, however, for in the 2600 year-old classic text, The Tao Te Ching, the qualities of water were elucidated in the poetry of Lao-Tzu. “The supreme goodness is like water. It benefits all things without contention. In dwelling, it stays grounded. In being, it flows to depths. In expression, it is honest. In confrontation, it stays gentle. In governance, it does not control. In a recent TED talk, Raymond Tang talks about the hectic and overwhelming nature of our technologically connected society, and how even in the presence of such chaos, one can find fulfillment by relating to the simple and elemental forces of nature. 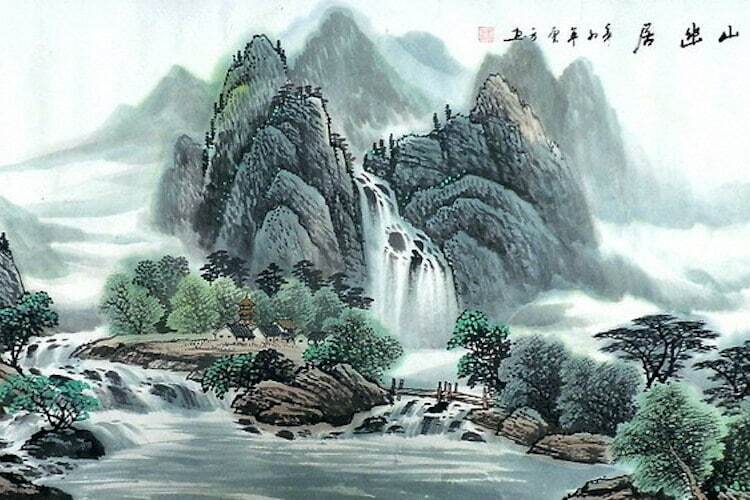 He discusses the nature of water, drawing out three useful lessons that have been known to the Chinese for millennia. The first lesson is about humility, and he notes the lowly, yet supportive nature of water as a life-giving force. Secondly, he draws out the lesson of harmony, and how water always achieves it’s aim effortlessly in spite of any obstacles along its path. The third lesson regards openness and our tendency to resist change along the path of life. Relating these three lessons to the modern pursuits of business and education, he explains how the lessons offer us a perspective on life that allows for greater fulfillment in everything we choose to take on.